Perfect handling for immediate response. The SEABOB’s drive mechanism is unique. The watercraft works with an environmentally friendly and future-oriented electro-jet propulsion. The worldwide patented E-Jet Power System propels the SEABOB forward in superior fashion. For rescue operations at the sea, on the coasts, in standing or flowing inshore waters, or even as a surveillance scooter for water sports events: The SEABOB RESCUE is operational anytime and anywhere. Its mobility makes it independent of fixed rescue stations. 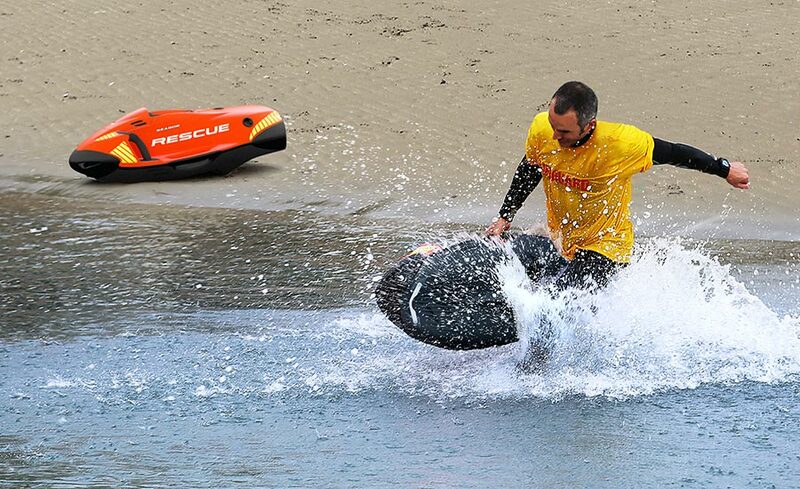 In rescue operations with dangerous currents, the SEABOB distinguishes itself through its patented E-Jet Power System. In an emergency, the thrust generated allows the SEABOB to cut effortlessly through tide and current. The SEABOB RESCUE not only stands out thanks to its excellent agility in the water, but also because of its technical safety features. 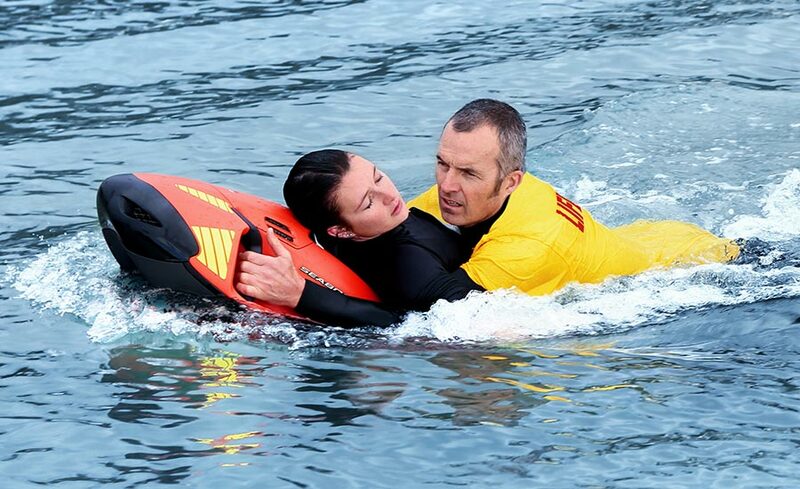 Its circumferential bumpers protect bystanders from harm during rescue operations. As the entire propulsion unit is moved to a safe internal position, it is ensured that no one can be injured by rotating propellers. 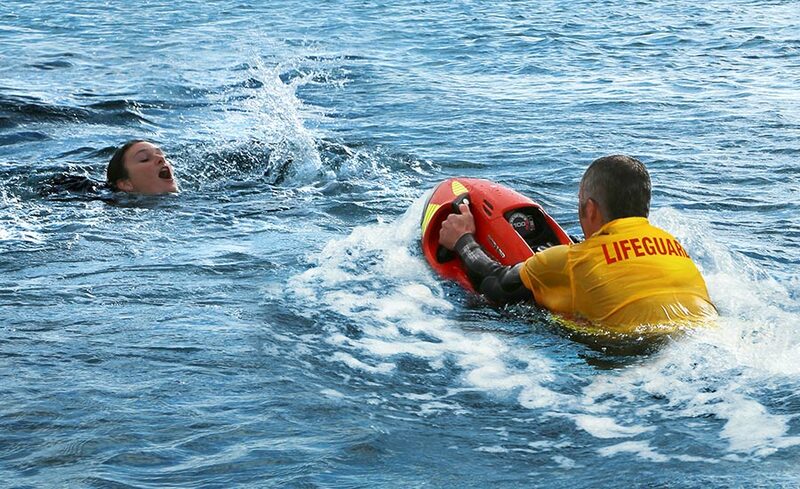 These functions and safety features of the SEABOB RESCUE are particularly appreciated by lifeguards. The SEABOB RESCUE is the only rescue watercraft in the world that is suitable for missions on and under water. A SEABOB can be steered and driven easily in all types of water. This is what makes it an ideal lifesaver in all emergency situations. It is ideally suited for all inshore waters and for the open sea where it is especially helpful when duck-diving through higher waves. 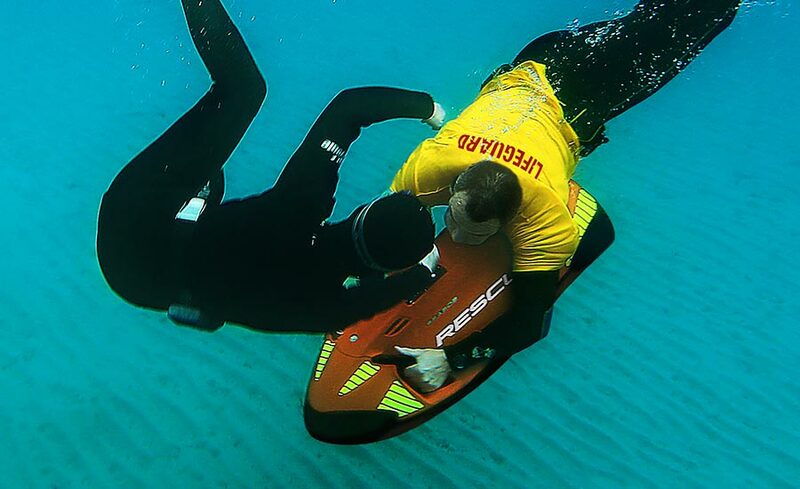 By using the SEABOB, rescue divers save valuable air and energy that make the difference when saving lives. The success of any rescue operation is determined by the people who perform these operations and by the technical equipment immediately at hand. The SEABOB RESCUE stands out with its versatile applications. On and under water, fast, powerful, with second-to-none agility and ease to drive. The SEABOB RESCUE is also suitable for salvage operations. The diving depth can be limited through an intelligent on-board electronic. 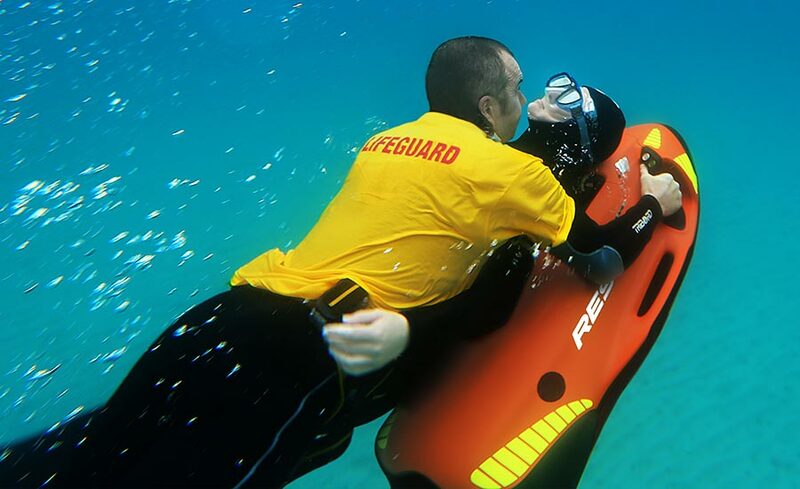 Variable buoyancy compensation weights and a wide range of connection and attachment options make the SEABOB a highly customizable rescue watercraft.